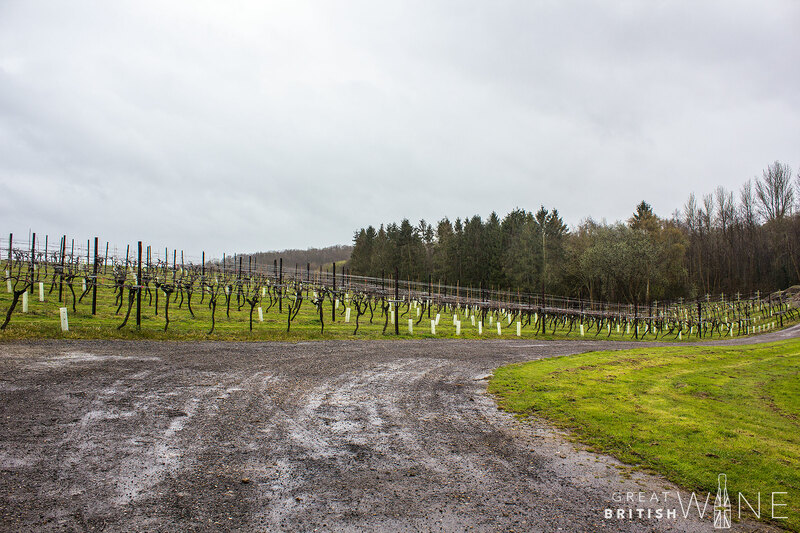 This year has seen a big boom in regional English wine tourism efforts. Following in the footsteps of the Vineyards of Hampshire, Kent, Sussex and Surrey have all launched a similar collective approach to drive tourism to their respective regions. Perhaps the most diverse group to date is Kent's Wine Garden of England. 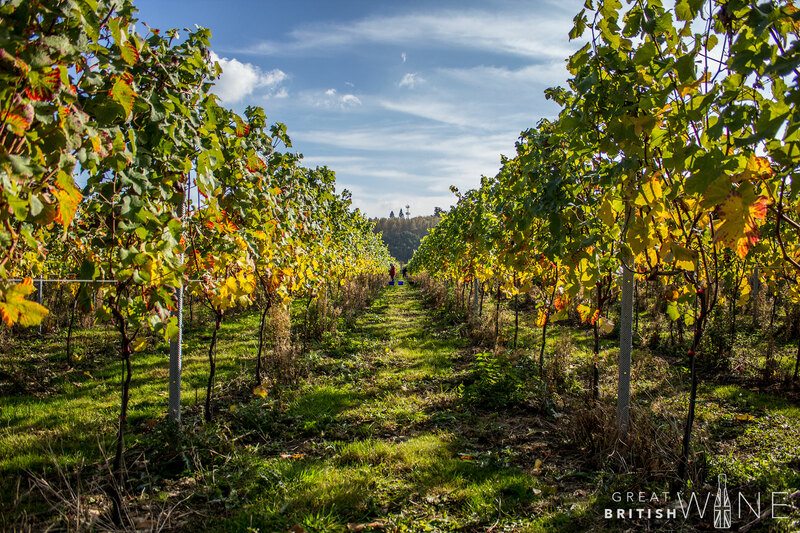 The group is both steeped in history with the likes of Biddenden and market-leaders Chapel Down, and includes multi-award winning sparkling wine producers Gusbourne, Hush Heath and Squerryes. 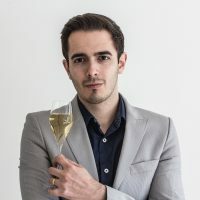 Also amongst the group are two of the most exciting new producers in the country, Simpsons Wine Estate and Domaine Evremond, the latter signalling the arrival of Champagne house Taittinger in Kent. I had the privilege to attend a VIP Dinner the night before the festival. Here, winemakers, business owners and key staff joined industry figures, press and supporters for a celebration of Kentish winemaking and witnessed the blessing of the 2018 harvest. 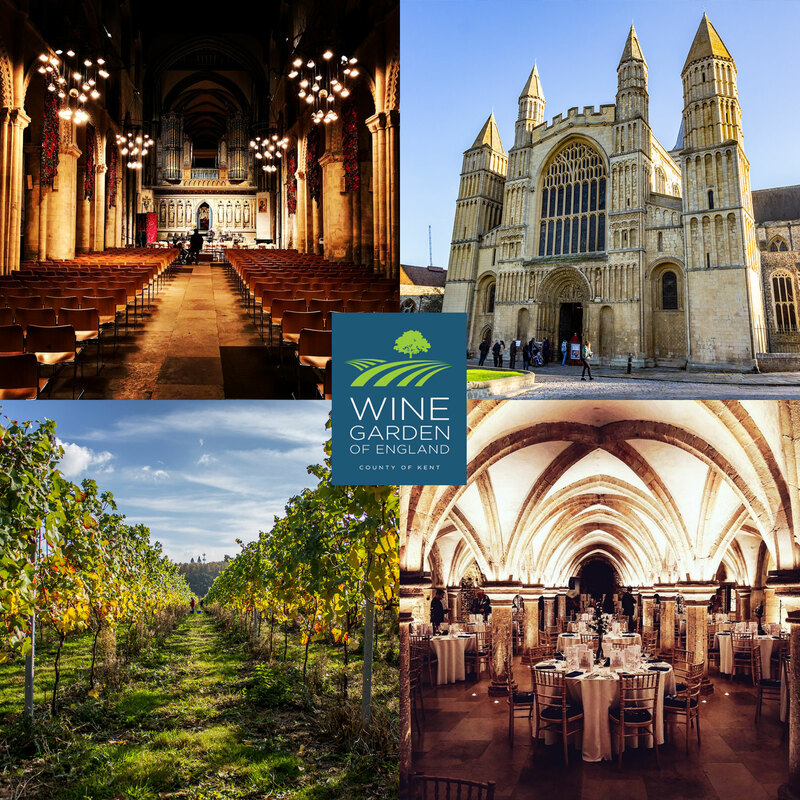 The venue for this auspicious event was Rochester Cathedral which, we were to discover, is steeped in English winemaking history. More than 1,000 years ago, Gundalf, Bishop of Rochester, established an order of Benedictine monks and started growing grapes. The evening began with Evensong and a blessing of the harvest, with guests invited to sit amongst the choir and partake in the service. A sparkling reception followed, with free-flowing servings of Chapel Down's sumptuous Kit's Coty Blanc de Blancs 2013 accompanied by delectable canapés. 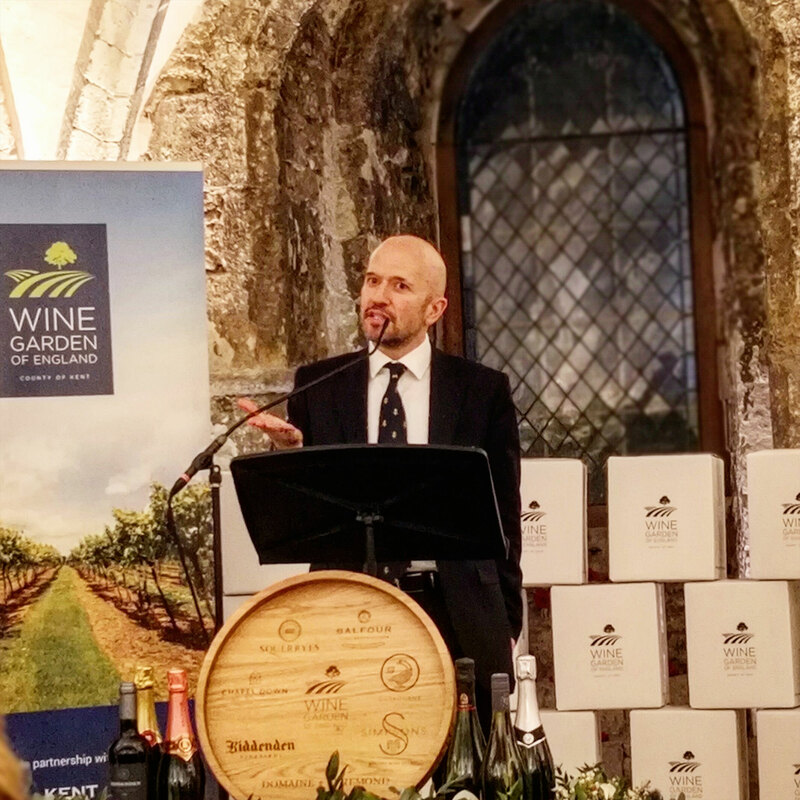 Dean Philip Hesketh gave us all a very warm welcome with his opening speech while explaining the blessing of the wine harvest’s significance as one of the historical customs of Rochester. Some 120 guests attended, including many familiar faces from across the English wine industry. Following the reception was a most fitting tribute to the weeks of hard work that the producers have endured this autumn. The unique 2018 harvest has seen an uplift in yield, as much as 2.5 times that of the previous year, which has meant many long days and weeks both in and out of the vineyard. We were all treated to a six-course menu created by Fabio Vinciguerra, the executive chef at Hush Heath. He presented a series of delicious dishes that paired with a wine from each producer in the group. Highlights included Smoked Scallop and Swiss Chard with the bright, mineral Gusbourne Blanc de Blancs 2013, while Squerryes' stunning, rich Reserve Brut 2011 was paired with an equally opulent Black Pudding Scotch Egg. My highlight of the night, however, was the Simpsons Estate Roman Road Chardonnay 2017. Just approximately six months since release, this quintessentially English Chardonnay is Kent's answer to Chablis. It paired delightfully with Chardonnay-Poached Hake with Kentish New Potatoes and Mussel Sauce. Another highlight of the evening was the passionate, articulate speeches that accompanied our meal. Joining Dean Philip Hesketh and Deirdre Wells OBE, CEO of Visit Kent, was Joe Fattorini of Channel 5's The Wine Show. Joe's 'English Wine Is Coming Home' speech was both attention-grabbing and entertaining, full of quips and facts that demonstrated his deep connection with the region. He commented that what Kent has to offer as a tourism destination is unparalleled worldwide. The point that it is located just one hour from the capital, steeped in historical culture, and is now home to world-class winemaking, is a most attractive proposition. 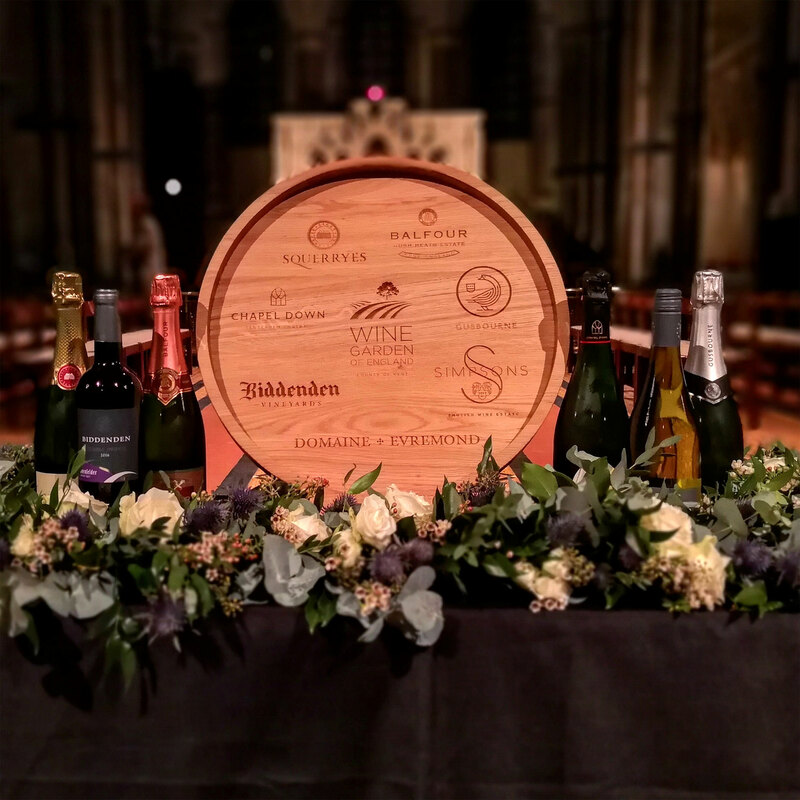 With the night's festivities over, the following day all seven producers were back in the crypt of Rochester Cathedral for the consumer-facing part of the weekend. 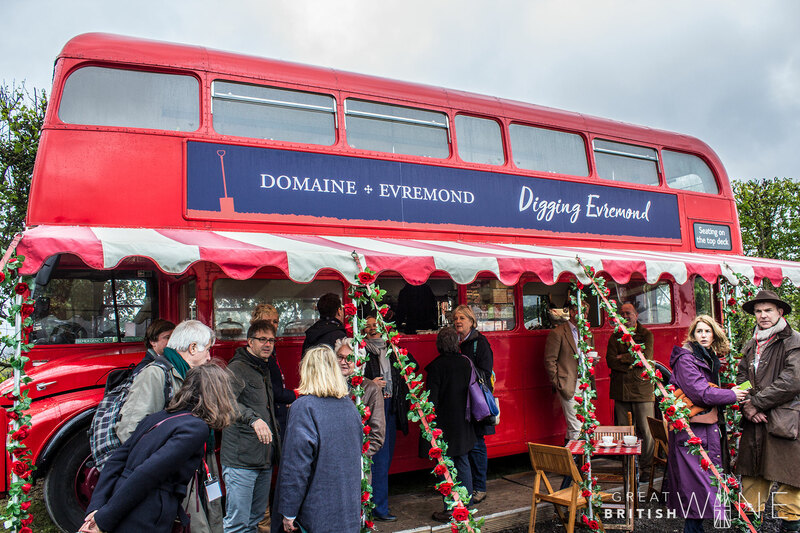 The first-ever Wine Garden of England Festival was a bustling, resounding success, split over three two-hour sessions, where English wine-curious tasters were evidently enjoying the collective efforts of Kent. The venue was most unique, and the size of the attendance, in my opinion, perfect to create a buzzing atmosphere without being too crowded to get to taste the wines and interact with the producers. The producers I spoke to seemed most happy with the consumer response, with plenty of crucial sales as a result of the generous tasting selection. All-in-all, this two-day extravaganza was a memorable encounter. The bringing together of seven diverse but like-minded producers, combined with the integration of historical and religious conventions, proved to be a resounding success. 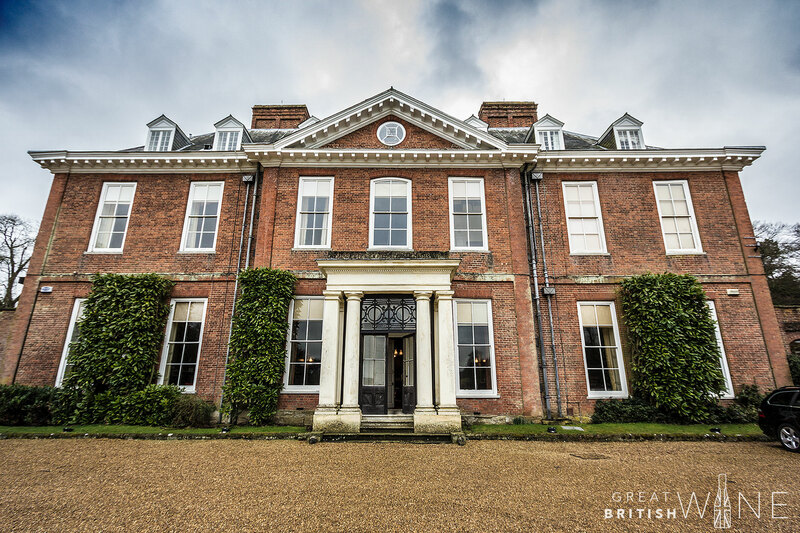 I very much look forward to seeing how the Wine Garden of England Festival develops from here, but for now, you can find my tasting highlights and more information on all of the seven winemakers within the group. 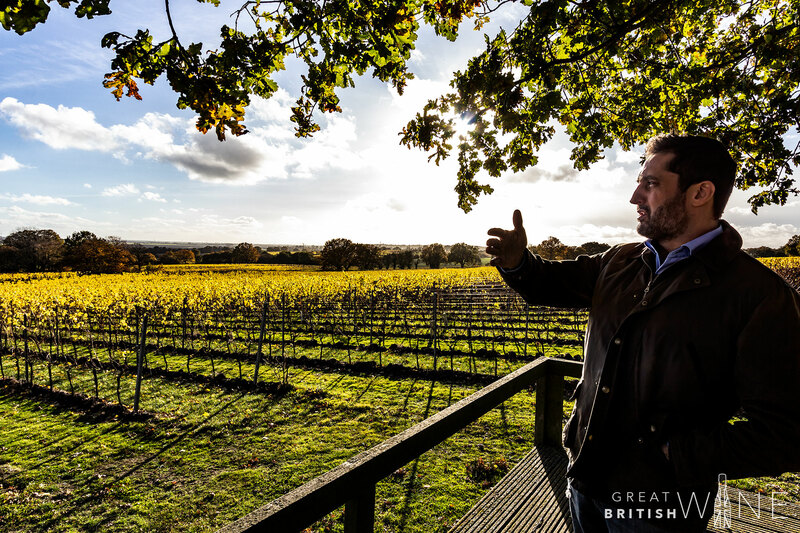 Biddenden is one of the longest-running commercial vineyards in the country, with nearly 50 years of winemaking heritage since its formation in 1969 by the Barnes family. 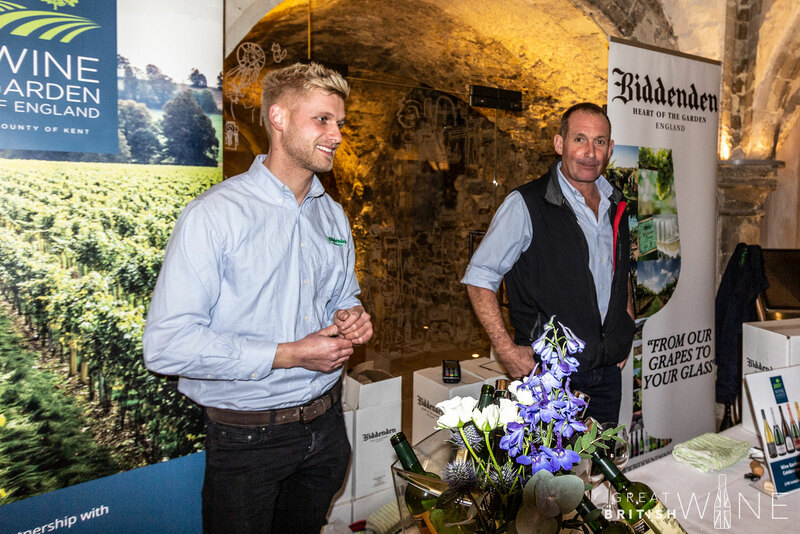 Now run by the second and third generation of the family, Biddenden is particularly known for its Ortega and Bacchus still white wines. 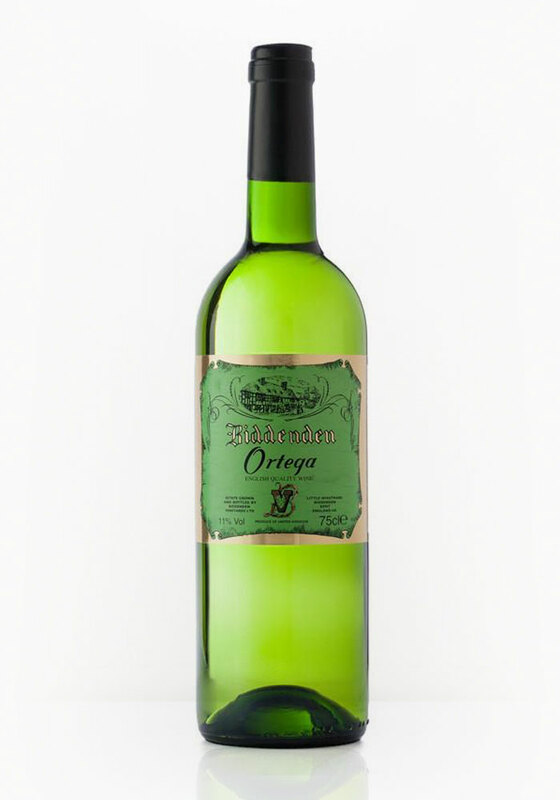 This is the flagship wine from Biddenden, who have championed the Ortega grape for nearly fifty years in Kent. The nose is fruity and fragrant, with a mixture of apple, pear and melon aromas, combined with a light aromatic character. To taste, this Ortega is rounded and appealing thanks to its full, fruity fusion of orchard fruit and ripe melon. There are hints of sweetness and floral notes, with a crisp citrus finish. 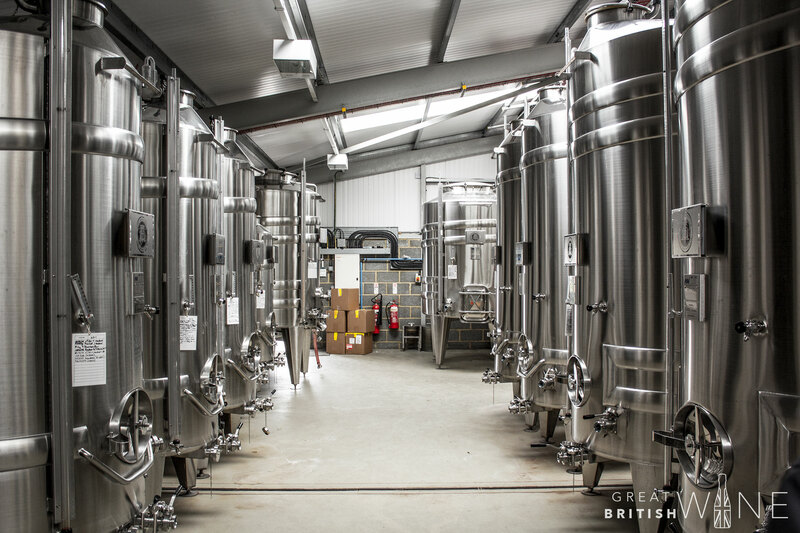 Chapel Down is the leading winemaker in the country, with a growing empire of vineyards and annual production of over one million bottles, in addition to ever-expanding spirits and beer businesses. 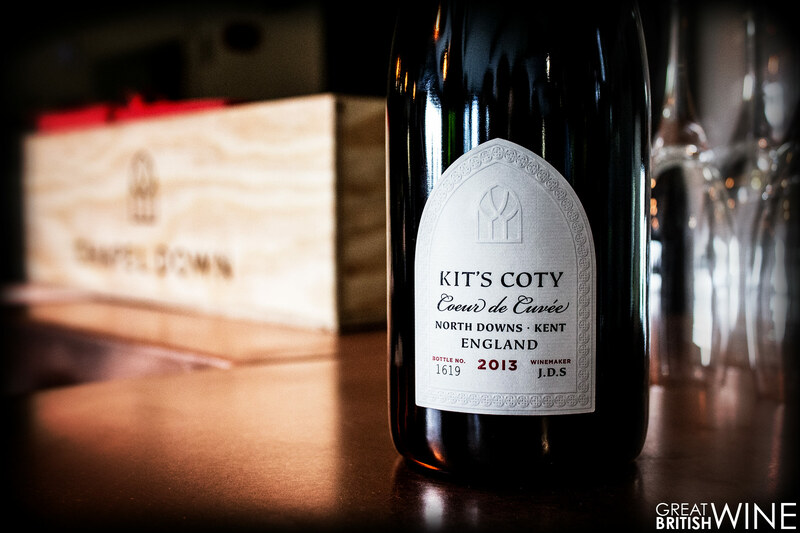 The flagship Kit's Coty range of single vineyard wines are some of the country's finest and most refined wines, while their entry-level still and sparkling wines are accessible in both price point and country-wide availability. 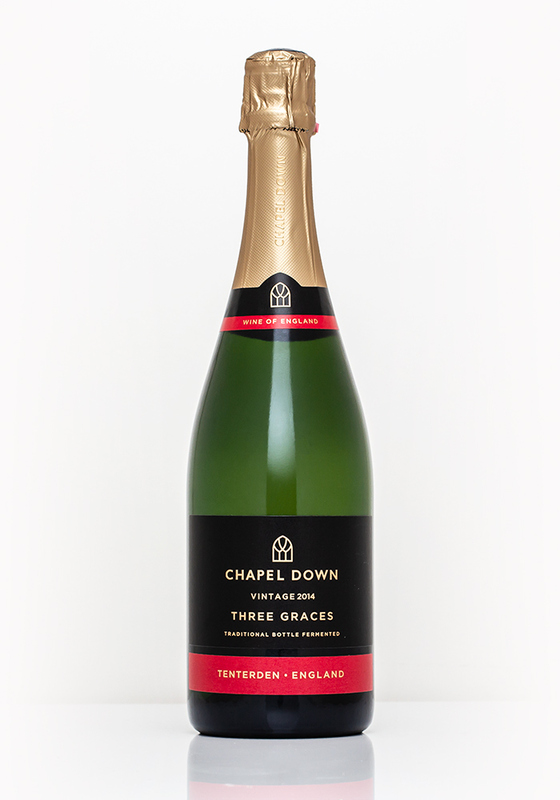 Chapel Down has a stellar range of diverse still and sparkling English wines. However, it's the Three Graces that I come back to time and time again. It has a lively pour with fine streams of bubbles lifting rich, intense aromas of baked stone fruit and apple. There are lovely honeyed notes with sweeter hints of sugared pastry. 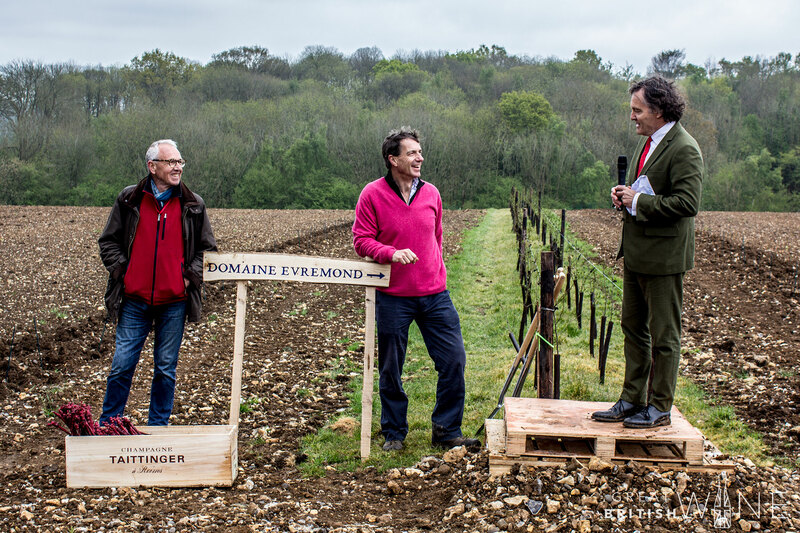 While their first wines might be a good few years away, the excitement surrounding Domaine Evremond is high. This ambitious project is a collaboration between Pierre Emmanuel Taittinger and Patrick McGrath, MD of wine distributors Hatch Mansfield. 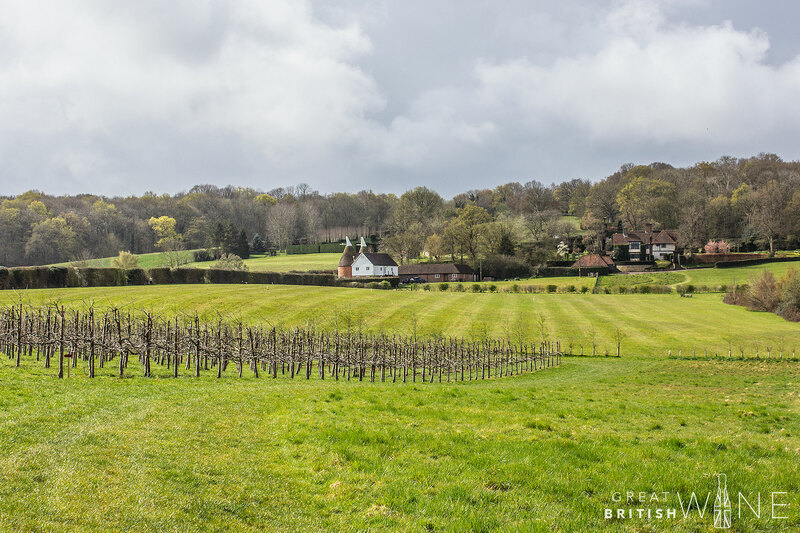 The arrival of Taittinger in Kent was met with open arms by the Kent producers in 2016, and may have been one of the catalysts for the formation of the Wine Garden of England. Watch this space! If there's one producer that's flying the flag for consistent, precise and expressive Kent sparkling wines, then it has to be Gusbourne. Inspirational winemaker and CEO Charlie Holland has driven the business forward since joining in 2013. One unique point of difference is that Gusbourne remains 100% vintage focussed in both its sparkling and still wines, opting to concentrate on delivering the very best expression that each harvest can give. 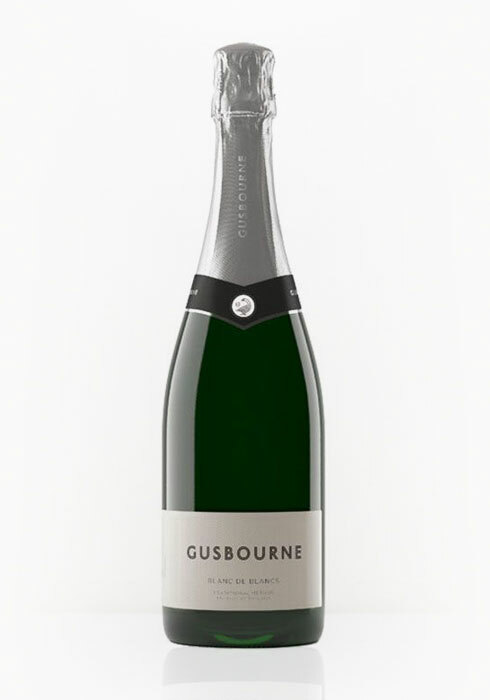 The first vintage that was entirely produced at the Gusbourne winery, the Blanc de Blancs 2013 is, in my opinion, the wine that typifies the purity and bright minerality that is the signature stamp of Gusbourne. It's got a really clean, fresh nose that is led by an intense minerality. Then, there is lots of crunchy apple and citrus with delicate hints of pastry thanks to four years worth of lees ageing. The palate has a beautiful sense of purity and precision. There is crunchy orchard fruit and citrus that leads to developing apple pudding that will intensify with more time under cork. This wine makes for a beautiful pairing with seafood such as oysters and scallops. 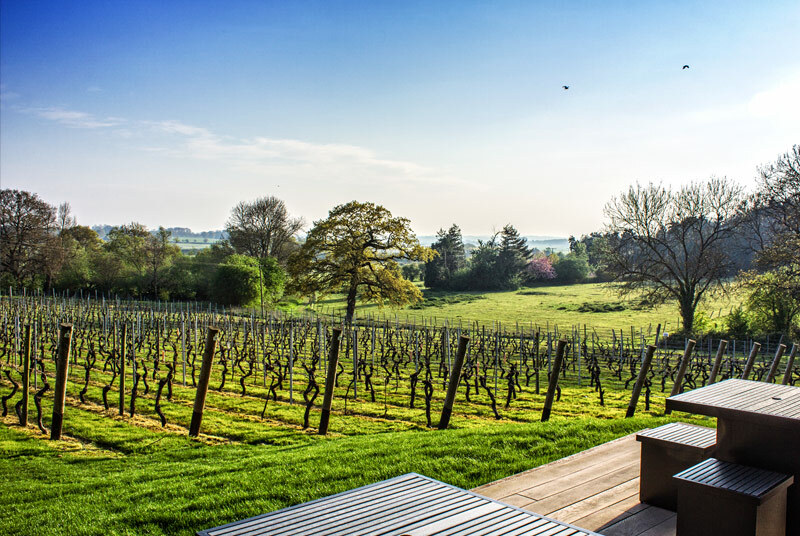 Under the leadership of entrepreneurial businessman Richard Balfour-Lynn, Hush Heath Estate has gone from strength to strength thanks to a firm eye on both wine tourism and top quality sparkling wines. 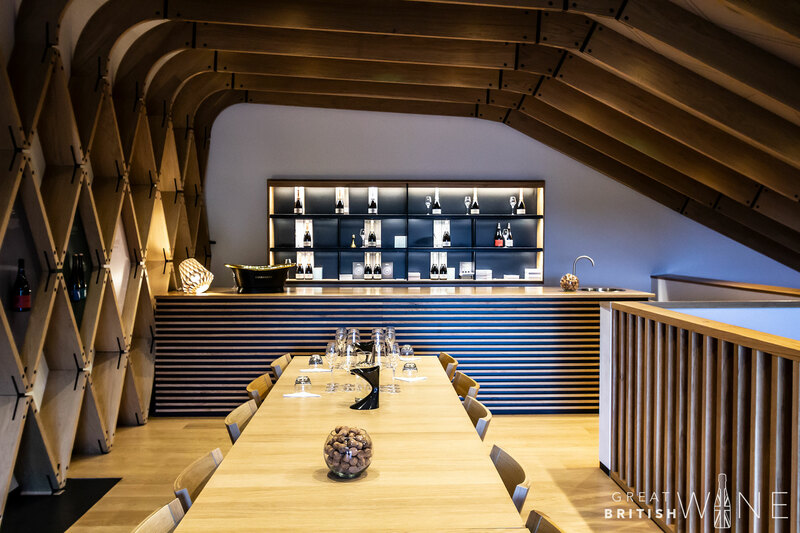 This year has seen the launch of a brand-new tasting room and restaurant, as well as the doubling in size of its winery to a capacity of 500,000 bottles a year. Hush Heath's signature Balfour Brut Rosé continues to fly the flag for English rosé with its delicate blend of 48% Chardonnay, 39% Pinot Noir and 13% Pinot Meunier. It’s pale pink in colour, but with an evocative nose of raspberry, wild strawberry and citrus peel. 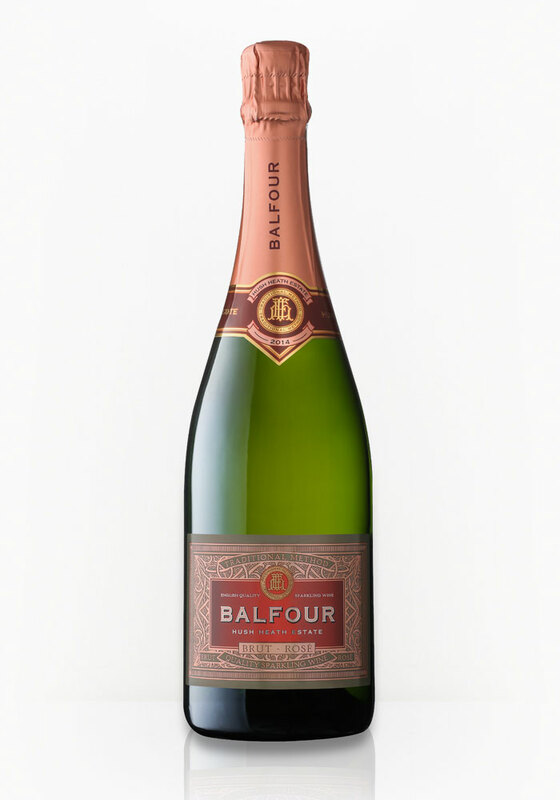 The Balfour Brut Rosé entertains with its light honeysuckle hints with brioche and sugared pastry. The palate delivers a harmonious fusion of bright, crisp Pink Lady apple, red berry suggestions and hints of candied fruit. This is classy, and so well made. 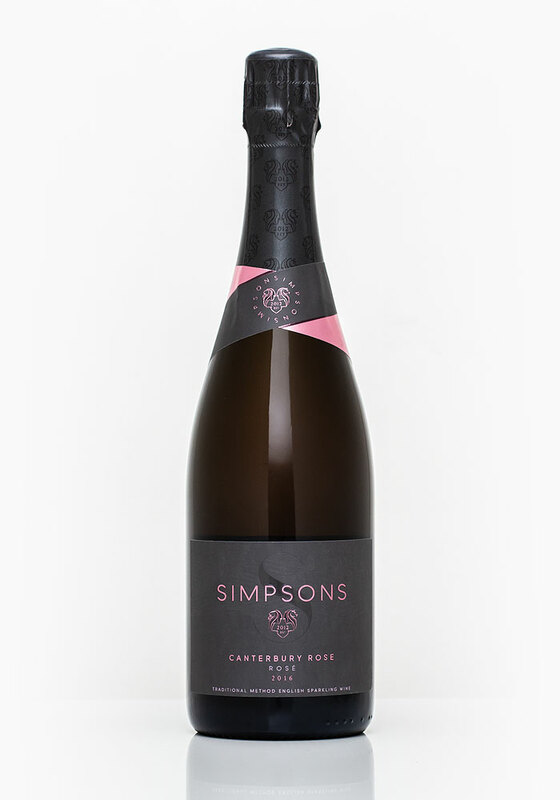 We've followed the progress of Simpsons Wine Estate ever since their arrival in Kent in 2014. 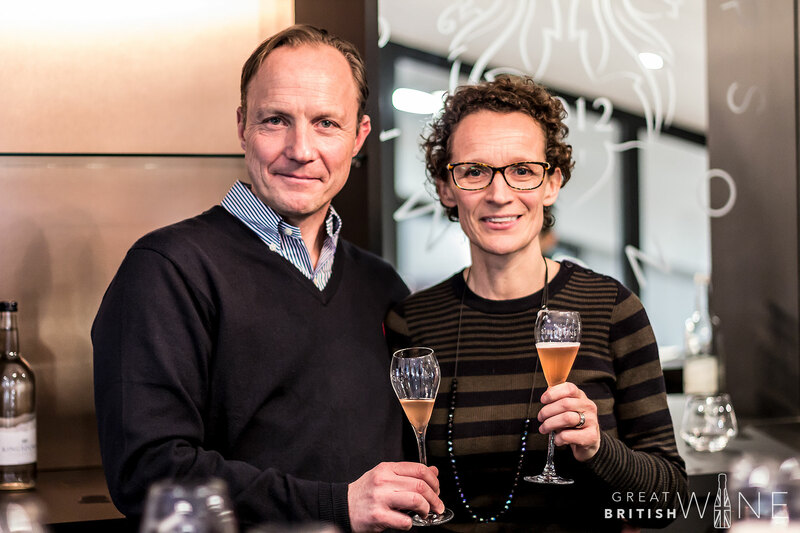 Owners Charles and Ruth Simpson bring with them a vast amount of winemaking experience from France, and this year has seen the limited release of their first sparkling wines. Expect pure and precise fruit expression thanks to the delicate extraction of the inert press in their state-of-the-art winery. With a vast array of exciting wines in the pipeline, this is a winery to watch next year! The palate is equally bright, beginning with a focussed burst of citrus energy and tangy red berries. It's got a red berry sorbet-like intensity, whilst lightly honeyed tones, and a brilliantly clean, mineral finish, keep everything so elegantly balanced. 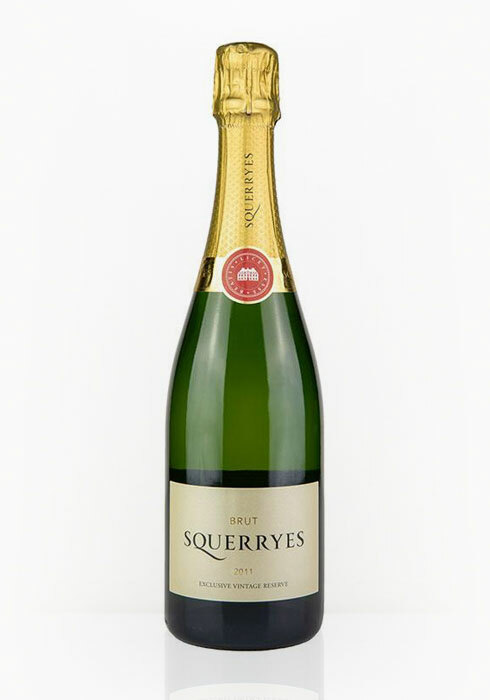 Squerryes is one of the hidden gems of Kent, being an English estate that has 300 years of history. Henry Warde, from the eighth generation of the family to have lived at Squerryes, has overseen the extensive planting of the vineyard to produce perfect aged sparkling wines of the very best quality. The estate has grown a strong following with a wine membership offer that sees members get access to reduced prices on all of their wines and invites to special events throughout the year. This perfectly aged Brut Reserve 2011 is a blend of 45% Chardonnay, 35% Pinot Noir and 20% Pinot Meunier that has spent 70 months on lees. The nose is stunning and elegant with notes of crème pâtissière, almond cream, baked apple and hints of apricot. The palate is deep, rich and refined with an enveloping autolytic richness leading to flavours of toasted nut and baked pear pudding. “Kent’s answer to Chablis” Chapel Down told me Kit Coty was also like Chablis. What is it with wine people that they need to compare to Burgundy all the time? Just be your selves. If we want Burgundy (like I do most of the time) the buy Burgundy. From English wine I don’t want a Burgundy wannabe. Hi Philip. Very valid comment! Ultimately, from my perspective I would say that not only do French wines have a great reputation, but mkany people understand the stylistic expression of the key regions and grape varieties. 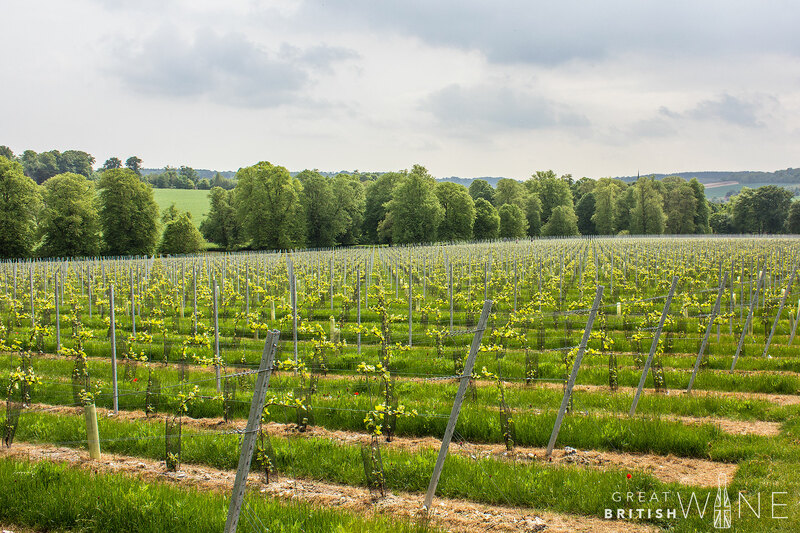 Still English Chardonnay is a relatively recently established category – it’s quite varied in style and expression and often we look for a benchmark to help describe the stylistic approach of winemaking. Chablis is quite a distinctive expression, with its steely purity, focussed orchard fruit flavours and often bright minerality; a lot of characters shared by the very best Kentish Chardonnays. I have no doubt that English Chardonnay will stand on its own two feet and develop a signature identity. However, I feel for now that it is sensible to benchmark against wines of similar stylistic approach, and also wines that often come in at similar price points.